Recorded at The Tabernacle in London in March 2018. Mona Arshi reads for Poets & Players on 18 October 2016 as part of the Manchester Literature Festival at Hallé St Peter’s, Manchester. Watch Mona’s poem ‘The Minister of Light’ as read by the children of Saint Augustine’s Priory School in Ealing. Mona Arshi and Chris Campanioni read poems and answer live Q&A, hosted by John Gosslee of Fjords Review. Mona Arshi’s collaboration for ‘Dancing Words’, Tom Szirtes, Nathalie Teitler and Ella Mesma, first shown at the BFI. 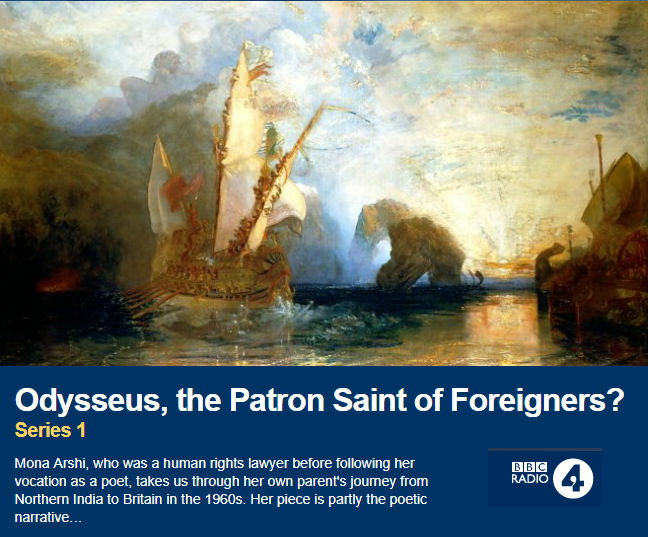 Odysseus, The Patron Saint of Foreigners? Commissioned by Radio 4, Book of the Week.